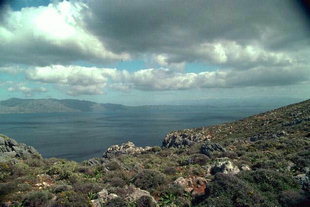 In the middle of the gulf of Kissamos, on the north coast of Crete, is Kastelli 43km from Chania. 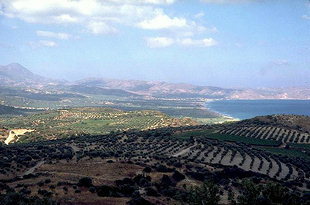 Kastelli has a good beach with hotels and tavernas in front of the town. A central Starting Point for excursions with several tourists facilities in Kissamos is Kastelli, the capital of Kissamos. Travellers may find Kastelli an enjoyable base for exploring the area of Kissamos. You can reach many places on day trips from Kastelli. Kastelli, was a harbour of ancient Polirinia. It became a very important independent city during Roman times. During the summer months archaeological work is in progress in Kastelli and you can see remains of second and third century mosaic floors behind the Health Centre. Other areas in the city have revealed various Roman remains such as baths, villas, and tombs that show the existence of a major ancient city.